Pancakes are definitely a food that brings me back to my childhood days. Sleepovers, lazy mornings and the famous ‘Alice in Wonderland’ from the Pancake Parlour. These pancakes are inspired from a recipe I saw by Dani Valeni. They are light, they are fluffy and they are very tasty. Combine all ingredients together and either mix well by hand or use a blender to combine. Heat oil in frypan and then pour in the batter (approx. 1/8th cup’s worth). After about to 2-3mins the pancakes start to bubble. At this point flip them for a further 2 minutes of cooking. Continue this process until all the batter is finished. 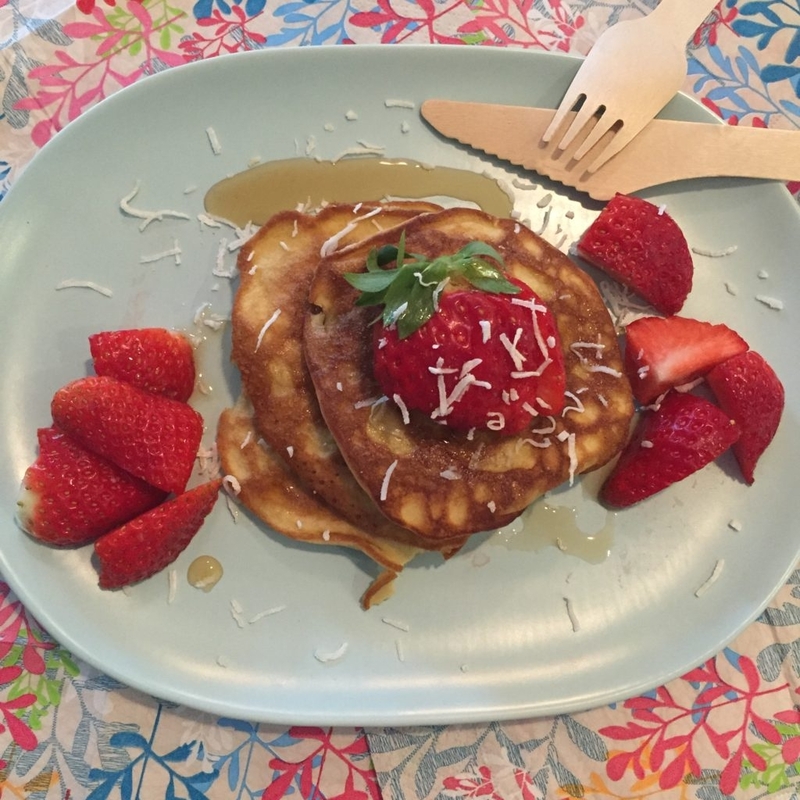 Top the pancakes with whatever you desire…. honey, maple syrup, chocolate sauce, fruit, shredded coconut or chocolate nibs. Add ½ cup of blueberries to mixture once combined prior to cooking.